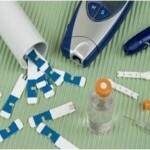 Proposed new guidance is out today from FDA on blood glucose meter systems (BGMS). There are two documents. One for patent users and one for use in clinical settings such as hospitals.